Hell yeah I’m blogging about bras and now nailpolish. 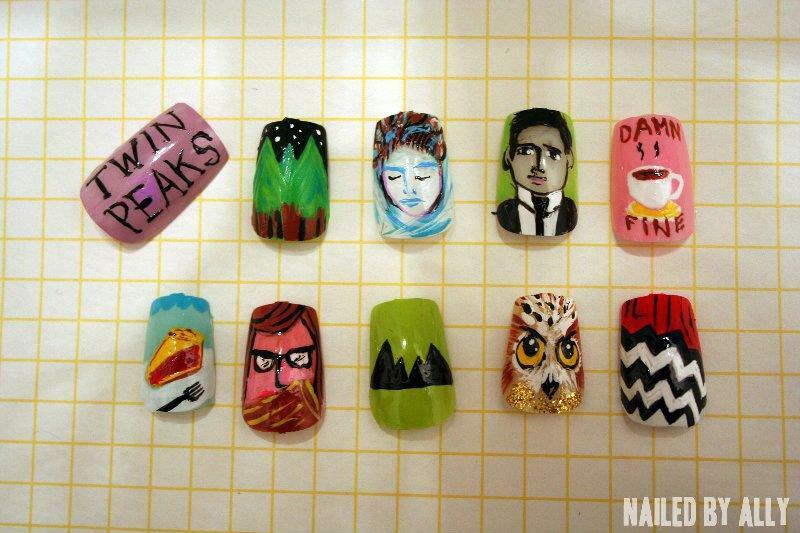 How cool is this set of Twin Peaks nail art by Portland-based Nailed By Ally? Series 2 request: Audrey please! Is that a Douglas Fir?